Client direct connect to server, the destination port should be 443 or 110. Client have a firewall only allow client connect to destination server 80 port and only can allow http protocol packet bypass it. 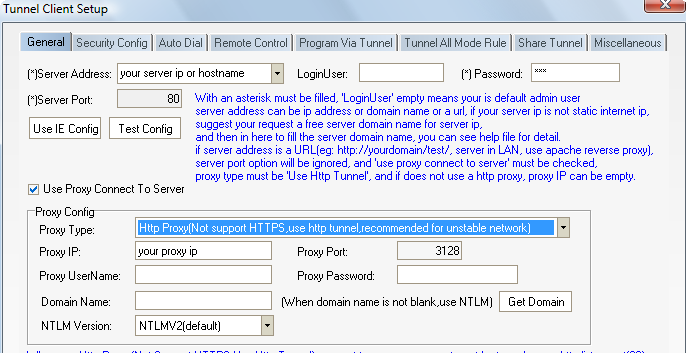 Client must check use proxy connect to server and select http tunnel mode to server, but let proxy IP to empty. Client have a http proxy need to bypass, the proxy support visit https website (such as some bank website, beginning with https:// ) and not more https connect limit. 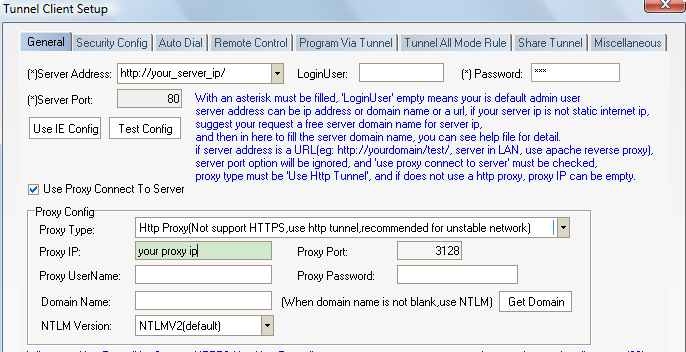 Client have a http proxy need to bypass, the proxy don't support visit https website. Client want to use a URL connect to server, and don't need http proxy. Client want to use a URL connect to server, and need bypass a http proxy.